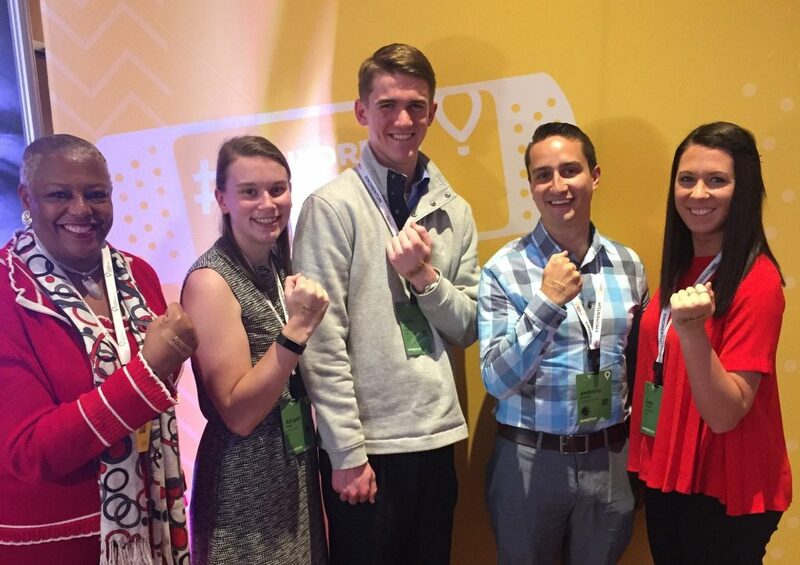 This past March, thirty Miracle Network Dance Marathon student leaders from across the nation were invited to Orlando, Florida to celebrate Children’s Hospitals Week at Children’s Miracle Network Hospitals’ annual Momentum conference. 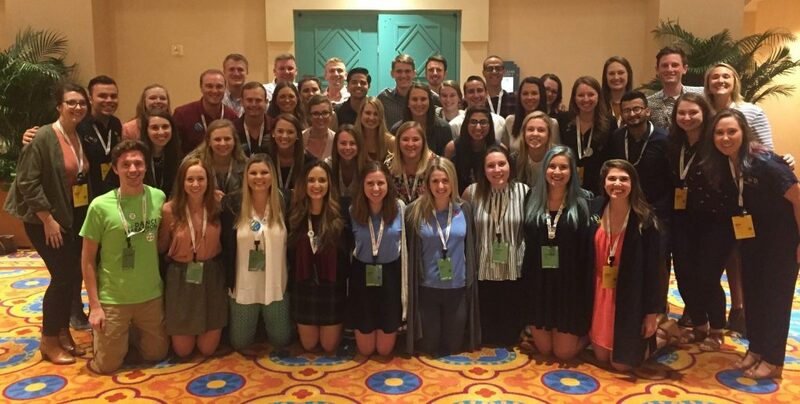 Students from , Florida State University, Purdue University, University of Central Florida, University of Iowa and The Ohio State University were invited to attend as a result of their programs being recognized in CMN Hospitals’ Miracle Million Club, meaning their Dance Marathon programs raised over $1 million in 2016. Students from Creighton University, Elon University, Florida Atlantic University, and the University of Mississippi attended after their programs were recognized with 2016 Miracle Maker Awards, meaning their programs earned the highest monetary and percentage growth in their fundraising in 2016. Dance Marathon student attendees with Dance Marathon Area Managers and Strategy Team members. During the Children’s Hospitals Week celebration, the students were able to network with CMN Hospital’s staff as well as representatives from member hospital foundations and corporate partners, learn best practices from each other, attend educational breakout sessions, meet Champion families, and of course to provide some of that well-known Dance Marathon enthusiasm to the week. For Ameena Chaudhry, Public Relations Director for University of Iowa Dance Marathon, one of the most impactful moments was getting to attend a social media breakout led by Lori Lewis. “The session really changed the way I look at social media and gave me so much material to take back to my leadership team to ensure that every single connection we make this year both grows with the modernity of the world we live in and is meaningful for the people we are hoping to touch,” she added. 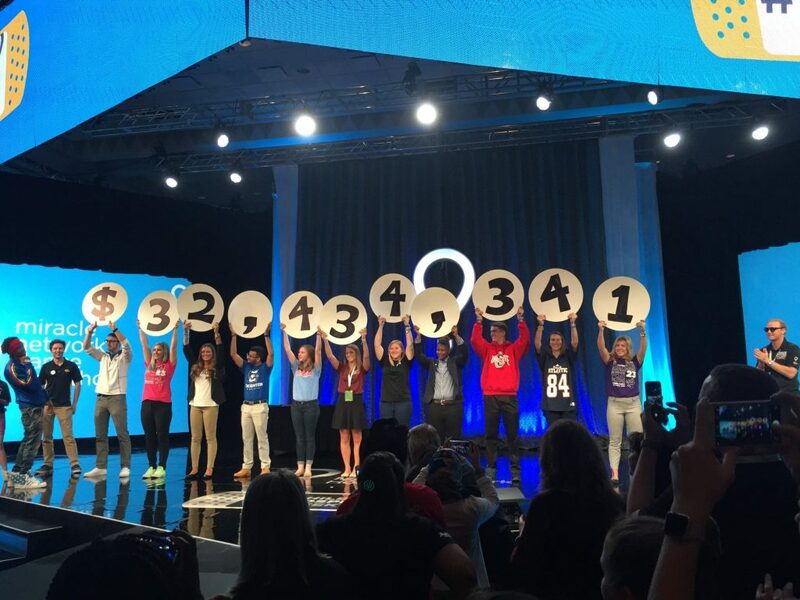 John Lauck, CEO of CMN Hospitals, enlisted the help of students to do a Dance Marathon-style reveal to announce the total number that CMN Hospitals raised internationally in 2016–an incredible $378,357,312! The students were also on hand during the Facebook Live-a-Thon to spread awareness about the Miracle Network Dance Marathon movement and, with the help of celebrity host Nick Cannon, announce the total funds raised by the 300 collegiate Dance Marathon programs in 2016. Students announcing the 2016 Dance Marathon fundraising total with the help of Nick Cannon. While the professional and personal development opportunities were plentiful, it was more than just the learning moments that left the students feeling motivated to continue to make a difference for the kids on their campuses. Students from BuckeyeThon at The Ohio State University supporting the Children’s Hospitals Week awareness campaign with Vice President of Student Life at The Ohio State University and CMN Hospitals Board of Governors Member, Dr. Javaune Adams-Gatson.